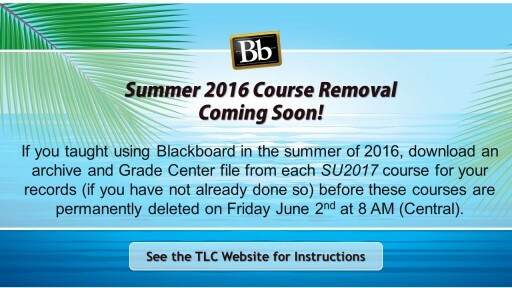 If you have not already done so as a part of the End of Semester Process, download an archive and Grade Center file from each summer 2016 course you taught before they are permanently deleted from Blackboard on Friday June 2nd at 8:00 AM (Central). Remember, courses that were offered in the summer of 2016 will have Blackboard IDs that begin with SU2017. 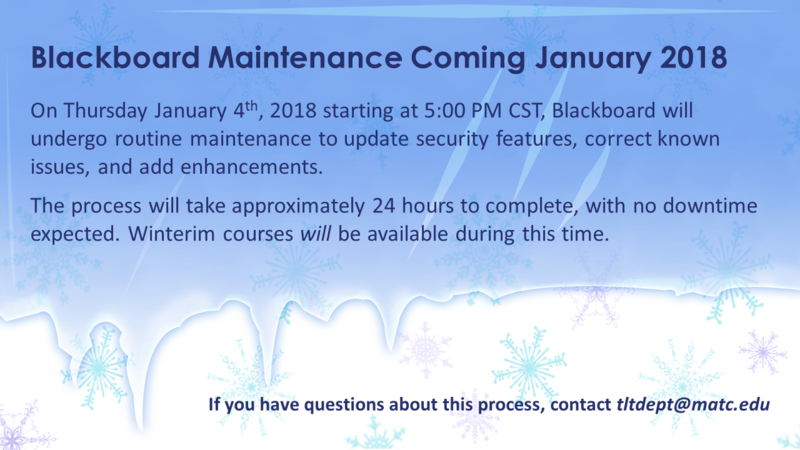 If you do not have a “master copy” of your course permanently stored on the Blackboard system, please complete the Personal Master request form and import your archived course file into it for future use and revision. Due to changes in username formats, hosting servers, and service packs, requests for old course archives may be time-consuming and restorations may be unsuccessful. Downloading an archive of your course and grade data NOW ensures that you will have easy access to them LATER! 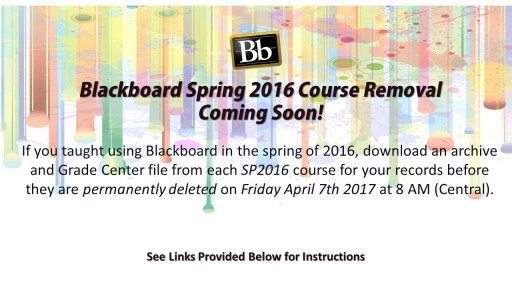 If you have not already done so as a part of the End of Semester Process, download an archive and Grade Center file from each spring 2016 course you taught before they are permanently deleted from Blackboard on Friday April 7th at 8:00 AM (Central). Remember, courses that were offered in the spring of 2016 will have Blackboard IDs that begin with SP2016.